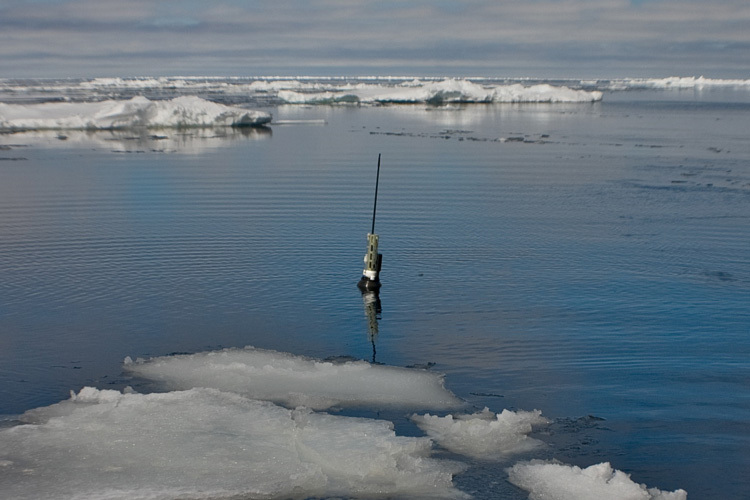 After correcting for this “cold bias” researchers with the National Oceanic and Atmospheric Administration (NOAA) concluded in the journal Science that the oceans have actually warmed 0.12 degrees Celsius (0.22 degrees Fahrenheit) per decade since 2000, nearly twice as fast as earlier estimates of 0.07 degrees Celsius per decade. 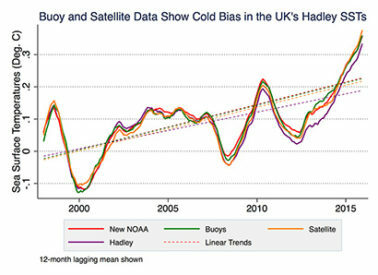 This brought the rate of ocean temperature rise in line with estimates for the previous 30 years, between 1970 and 1999. 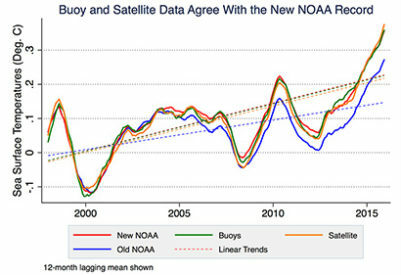 The new study, which uses independent data from satellites and robotic floats as well as buoys, concludes that the NOAA results were correct. The paper was published Jan. 4 in the online, open-access journal Science Advances.